Although here at Brolio we will certainly remember, who knows how many of those who today make forecasts and comparisons will really remember the seasonal trends of this year when they drink a 2017 wine? Leaving aside these considerations, the white grapes have all already been harvested, the Merlot as well, harvesting of the Sangiovese has begun, but we can remember only rare years when all the Malvasia grapes for the Vinsanto were gathered by early September. Ripe and healthy, the Malvasia arrived in our cellars during the very first days of this month. 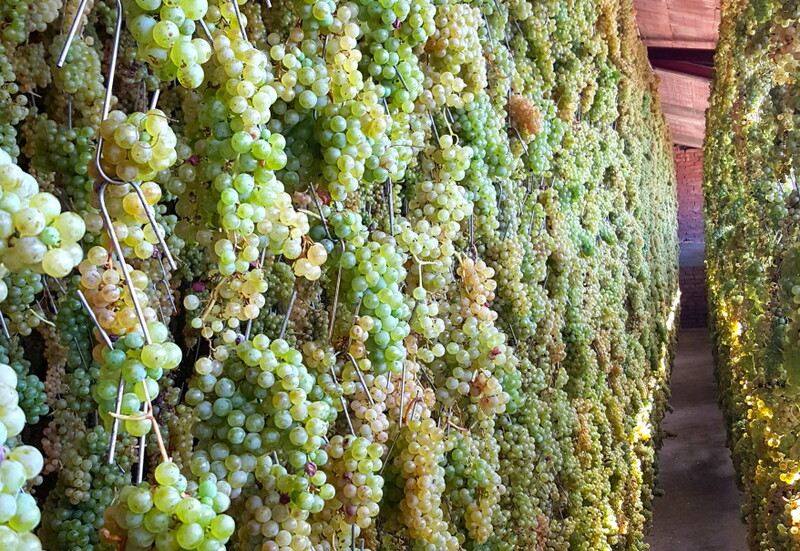 On 5 September, three to four weeks ahead of standard schedule, the grapes were hung up to dry. From this moment on, we’ll keep our eye on the transformation of the clusters of grapes: from full, juicy and relatively transparent, they will become dried up and feature hues and shades that would bring envy to the heart of any artist. 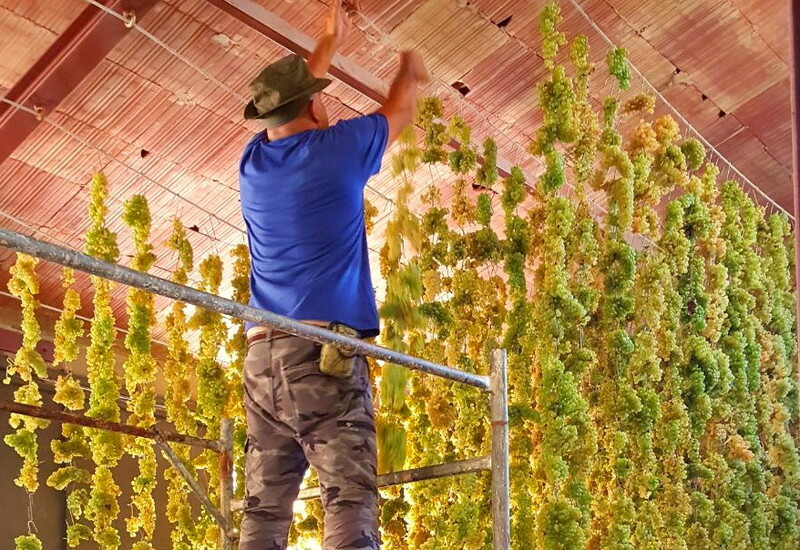 The large room dedicated to this is already decorated with bunches of grapes that will remain there drying more or less until Christmas and not beyond the first of January. They will then be pressed and subsequently fermented in small barrels in our Vinsanto cellar. Our formula calls for a bit of Sangiovese as well, to give it a fresh touch. We’ll savor the Vinsanto made from 2017 grapes many years from now, considering that what is now on the shelves is from grapes harvested in 2009. But the 2017 Vinsanto would certainly have been one of the notable vintages had it been ready to be tasted in the vertical we held here at Brolio in February of this year.